This is not another WhoGoHost review as an affiliate hoping to make some money on your purchase. But a detailed account of the good and ugly hosting services I experienced from WhoGoHost web hosting and domain name registrar. So stay tuned, and read every word till the end. This may help you make a positive decision (Plus I gave my expert advice on which indigenous web hosting company I recommend at the end of this post). The quality of services your hosting company offers is one of the vital areas you mustn’t overlook in your online business. If you place less value or concern to this area and host your blog with a “quack” in the business, your business will suffer greatly. And you’re bound to lose both revenue and your audience in the process. Sometimes, we’re trapped on cash or don’t have enough information prior to purchasing hosting services from a potential web hosting company. So we ended up with low-quality hosting services. I know from experience that most beginners online marketers love to save cost on things like web hosting, blog design, tools, content marketing, etc. While this is understandable and accepted. I don’t advice you include your blog hosting services on the list of things you’re going to save cost on. Also, I don’t recommend either that you go for a hosting package not needed at the moment. Like purchasing a VPS plan when you’re just starting out with your blog. Is best to start with a shared hosting plan. Later you may consider upgrading depending on your progress level. With all these out of the way…here is my hosting journey with WhoGoHost Nigeria web hosting company. I started this blog back in July of 2012. To be exact, it was hosted on WhoGoHost server and domain also registered by WhoGoHost. Until sometime around the middle of 2015 that I decided to try another web hosting company out. Everything was fine with the quality of services I experienced from WhoGohost Nigeria. During the time, I’d recommend more than 20 paying clients to host their blog with WhoGoHost. This is because I can vouch for the quality of services. And unarguably, they’re Nigerian #1 hosting company at the time – I’m not sure if they still occupy that position anymore. Below is my WhoGoHost affiliate dashboard analysis. Looking at that conversion rate from a business perspective…it doesn’t tell well. Though there are lots of factors that may be responsible for the low or poor conversion rate. I leave that for another discussion. 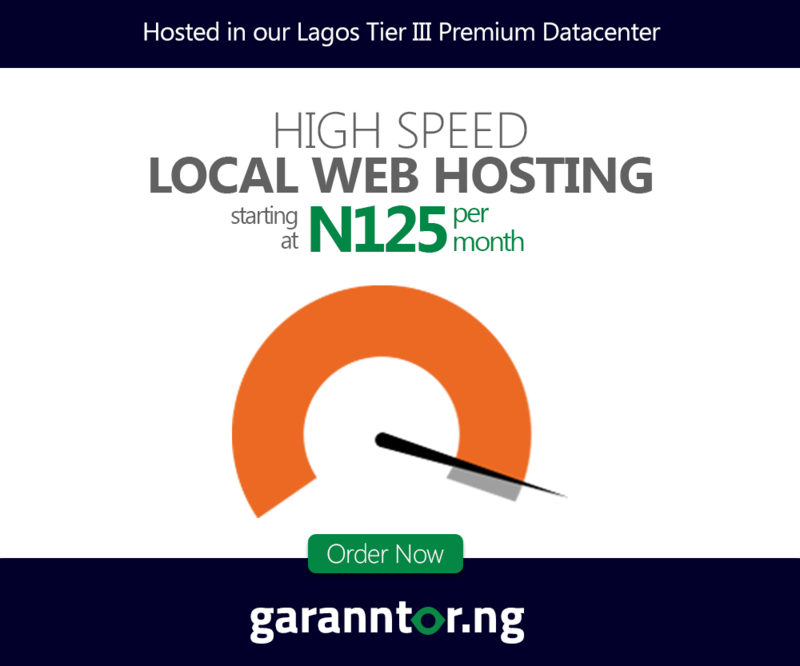 My decision to move CyberNaira.com to another web hosting company was not based on the quality of hosting services WhoGoHost offers back then. I just want to try something new and see the difference in the quality of hosting services. So I migrated to NameCheap web hosting company in the middle of 2015 about the time my hosting account will expire with WhoGoHost. I made the switch and ask for site migration help from NameCheap technical department. Something they were happy to do and completed within a few minutes of submitting the request form. Everything went well with the site migration as expected. So CyberNaira dot com now hosted on another server but domain name still registered by WhoGoHost. Like I told you earlier. It was during this time with NameCheap that I started experiencing and knowing the difference in the quality of web hosting services. After about 6 months with NameCheap. The first thing I noticed is the sharp decline in the frequency rate of email notification I used to receive from JetPack monitoring team about server downtime. Not that there weren’t any server downtime issues experience with NameCheap hosting services. But the frequency rate and the total server downtime reduction was a significant thing. So I stick with NameCheap. Attention!!! Get 50% off your first NameCheap hosting order – click on here to order now. Offers run till 04/30/2019. Since January 2016, I’ve been going through a very tough time. From my mother-in-law illness which put a very BIG hole in our pocket as a result of the HUGE medical bills. (she later died on August 31st), to losing my job in the same months and having lots of debt to settle. I started thinking of a way to reduce the cost of running this blog and other things in my life. All these were happening at the time I’m supposed to renew the hosting account for this blog with NameCheap. So, like a beginner would do. I taught of saving cost on hosting fee. I decide to switch back hosting to WhoGoHost web hosting service. After all, I have used their hosting services in the past and was well pleased with it. So on June 16th I order for a monthly hosting account plan from WhoGoHost and requested for a site migration. Little did I know that this is just the beginning of an end to my four years of hard work on this very blog you’re reading and the loss of 192 blog posts. I submitted the site migration request form and like most technical department, they were happy to assist. Within some minutes I received an email notification that site migration has been done successfully and should check to confirm. I checked, but to my surprise…the restored backup was that of 2015 and not the current one dated June 16, 2016. I replied to the email and point their technical staff to the right back up to restore. They restored the most current backup, and looking at everything from the “front-end” of the blog…all was fine and good. I noticed the error when I tried to log into CyberNaira WP admin dashboard and could not gain access to it. At first, I wasn’t thinking anything suspicious about it. I left it off and close the browser. But immediately, I reported back to their technical department. During this period (the entire month) I am very busy with all sort of issues in my head just like I told you earlier. Ranging from my Mother-in-law’s illness, loss of job to all sort of things. With all these going around me I have little time and attention to online activities. So almost a month went by, I didn’t have the time to log in to the admin dashboard or even participate in online communities like that. By the time I was through and less busy with offline activities. I decide to resume online business as normal in July. That was when I discover there is a BIG security issue with the blog that arises from the site migration done by WhoGoHost technical departments. I email the technical support department immediately and as usual, they replied within a few minutes. I explained that since they completed the site migration from NameCheap on June 17, 2016, I have been unable to log into my admin dashboard. Though I reported the issue the moment I noticed it. The customer care representative available then gave some technical excuses that might warrant that. She gave some reason like browser cookies of which I argued with her that I know all about cookies and definitely not the cause in this situation. Below is a summary of some errors I reported to their technical department – That was on July 1st, 2016. That was when I started to think and believe that my blog has been hacked during the site migration process. I ask why a change in the login username? All published post missing – 192 published posts. I was shocked, and couldn’t believe what I saw in the WordPress admin dashboard. My sweat, labor, learning, experience, hard work. Just about everything I have put up on CyberNaira dot com for the past four (4) years just wiped out like that? No! It must be a joke. So I email the technical department again. This time around strongly demand an answer to why a change in the admin username and “WHO” registered that username and email address during the site migration? Again, no one from WhoGoHost technical department came out to explain why the change in the admin username and email address for my blog. At this point I was very annoyed and could not bear the patient anymore. But luckily, that same day (August 14th) the technical department were able to get back my username and password registered on the blog. So for once, I was able to gain control over the blog. But unfortunately, they didn’t get it right. Another blog content and files were restored on another domain entirely. As at the time I was having three (3) blogs installed in the Cpanel. Here is the thing, if I typed “https://cybernaira.com” on the browser…it will display the content that was published on “http://wppressthemes.com”. I owned the two blogs so I can tell best which content belongs to what blog. I sent this email message again. If you look closely in the image above. I underline part of the last sentence to show how long we’ve been at this. Two months running and we haven’t come to a solution. At this point, I’m beginning to come to the conclusion that the technical department is not competent enough to get things right here. So I have to move on and leave everything in the past. I was unable to login to the admin dashboard. The login page can’t recognize my username, password, and email address. I tried password reset but my email address not recognized. If I gain access to the admin back-end, all content and files not present. But if I can’t log in, all files and content present on the front-end. To end this long story. As at the time of writing this line WhoGoHost technical department are yet to find the solution to all these errors. Though I have since put all these behinds and dump them in the trash. I have returned back CyberNaira.com hosting to NameCheap web hosting services on August 17th and decided to start all over from scratch with a blank WordPress installation dashboard. Now, here is something I want you to get from all this drama. All the technical errors surface again so is now clear that the available backup is corrupt. With this, I deleted everything and with a strong conviction – start all over from scratch. I have been with WhoGoHost Nigeria for several years before moving to another hosting company and to be honest, they’re a good hosting company. Maybe I’m just a victim of circumstances. Maybe I’m not just lucky with them during my second spell. Maybe WhoGoHost just lost it at that particular era. Maybe some sad event just befalls the company and the customers were affected by it. Whatever happens, WhoGoHost need to bounce back from all these messes. This is because from what I read in some online communities about WhoGoHost hosting services…I’m not the only victim of such a very ugly event. With all these, and from other experience. If you seek my expert opinion on which web hosting company should you go with? I’d recommend NameCheap as a foreign hosting company and Garanntor as an indigenous web hosting company you can trust, at least for now. You can read my views on Garanntor web hosting company here to see if it is what you’re looking for. So sorry about your experience with Whogohost, Shamsudeen. It could be very painful to see all your hard work over the years go down the drain due to the incompetence and technical incapabilities of their so called “engineers’. I never knew you went through such a terrible ordeal in the hands of Whogohost and also I didn’t even know they lack such technical capabilties. When I started my blog in 2015, I got poor reviews about Nigerian web hosting companies so I decided not to go for them but surprisingly I ran a quick survey on nairaland (which hit frontpage) and many people voted for Whogohost. I even published a post on my blog about it (I’ll have to do an update on it). The thing about most Nigerian web hosting companies is that: they are resellers for foreign web hosts and I think Whogohost have attached itself with a bad one. Just like you: I use Namecheap to host my blog. Awesome service. I don’t know if you’re aware that you can have a back up of your entire site (not cpanel backup): plugins, posts, comments, themes etc. by using a plugin called WPBackitup. It helps you run automated back up of your entire site which you can download in a zip file and restore any time you like. May be your blog wouldn’t have lost your posts if you had a back up of your own aside the cpanel. Thanks for sharing this post, I found it really enlightening and detailed enough. Thanks for your awesome contributions. Talking about WhoGoHost quality of hosting services, I believe they just lost focus or maybe the success they’ve achieved so far went into the head and somebody thinks he has made it all and forget about his primary duty. I’m aware of WP backup plugins, but you know…this things are like insurance, you never realize the importance until a disaster like this struck and there is no one to save you. I’ve been running this blog for years and never had any hiccups, so I never felt the importance of a personal backup. But now, I know first hand how important a backup is. I used to use QServers for all my sites and had no issues, then when I heard about whogohost I started using them on new projects, I too had issues ranging from low technical knowledge to loss of data some months back, which most people using whogohost know about. Anyway I’ve since moved all sites back to QServers and I’m fine with them. People should find a host that works for them and they are comfortable with, it’s not one host for everyone, so you need to test as much hosts as possible to know, the best for you. I really think it was an honest mistake from WhogoHost’s end. It doesn’t really mean they are incompetent. From your Emails to WhogoHost, it sounds like you assume it’s only your domain they manage but that’s not the case at all. There’s no way they would note the contents that belong to your blog. That being said, you definitely should not have deleted the back up (Especially if it truly contains 100+ blog posts). If you can, please try your best to recover it and contact me. We at FincoApps could assist you to recover most or all of your content. You made some points that interest me. First, I agree it’s an honest mistake from WhoGoHost, no businesses ever set out to treat its customers badly and hoping to make a profit. And yes, a single customer bad experience doesn’t make the company a bad one. So I agree with that. How could I assume a web hosting “company” manage “only my domain”? Then they must have been out of business long time. Each blog has its own zip folder with a name tag to it in the full backup, so there are no excuses for installing another blog content on a different domain other than lack of concentrations. That being said, you definitely should not have deleted the back up (Especially if it truly contains 100+ blog posts). Since the backup is corrupt, I see no reason why I should keep it on a fresh hosting account except I want to keep facing same security issues and leave my blog expose to hackers. This must be your first time visiting this blog. that’s not what I meant at all but let’s forget that issue first. About the corrupt backup, you said you downloaded it right ? What you should have done is give a good Webmaster. Of course I believe it had a lot of posts. My point is, with that amount of posts, you shouldn’t have given up so easily. Mine was hacked once and I lost just about 7-10 quality posts written by me without backup. If you know what I tried to recover them…. I went as far as going to Google and Disqus to ask them if they had a cached version of the posts. At the end, I recovered most of them…. Good to hear back from you and many thanks for taking your time to engage here on my blog…I appreciate it. Yes, you’re right on that. I would’ve looked for someone more competent but the things is, I have lost all patient and just want to get my blog back online. And since I have some published posts draft in MS Word sitting on my computer, I just think is the next thing to do and use the situation to “start a better blog” from scratch. Besides, I have found a tool to get all published posts back except the comments and image files. Thanks a lot, nice having you here. So sorry for that sad experience. It’s actually very difficult to face such sad moment especially when it comes from a person or organisation you trusted enough. But I have gained a lot from this post. I received that post back then so amazing I was wondering what could be cause. But its well. Thank you’re back online. Atleast, I, as a beginner have learnt a lot from this post. By this time, I am rest assured I know where to host my blog now. Sorry for the inconvenience and thanks for sharing. It had been a while and I’m really sorry for the stress you’ve been through for the past few months aside your issues with your host. I will urge you to stay strong and of course never look back. It’s good to know Cybernaira is now back on track. Good to have you here again after a long time off. Thank you, CyberNaira is back for the good reasons. I’m sorry about your mother in law my friend. Thoughts and prayers to you and your fam. I’m watching my mom today, back home in the US. She has a long term illness – Alzheimmer’s – so she’s lost her memory and is a late stage case too. She has not passed on yet but I can imagine how tough it was. Very tough watching our loved ones going through pains in a situation where all you can do is nothing but hoping and praying the medical team could just get it right. Is not one of the memories one will ever wish to remember in a hurry. I know the effective of Alzheimer, I have met with a Woman suffering from it…I’m sorry about your Mom health issue, I pray she have the strengths and courage to remain strong. That is Nigerian Host for you ,I wont recommend anyone to use whogohost. They are actually not doing it right because everyone is complaining about them not doing it right. I hope whogohost understands thier flaws on time and do what is right before they loose lot of customers. I will suggest http://qservers.net if you want to use a managable hosting service In Nigeria. WhoGoHost was once the darling everyone loved to host with, but somewhere along the journey, I think someone gets his head BIG and think “Yes, we’ve reached the sky”. Well, like you said, I hope they quickly realize the past achievements is now in the past and focus on what it needs to be done to achieve better things. Well web hosting is the backbone of every website/blog. Most of the readers skip reading blog if the page is loading slow. So hence our first preference should be good host. I really loved this review. Seems like I’m gonna give it a try soon.! Glad you find the review a positive one. Let me know how it work for you. I read your issues with Whogohost with great interest. That was a sorry case. Whogohost was our first experience with a Nigerian host. We run 32 sites shared between three foreign web hosts most of which are wordpress pros. On the 17th January 2017, we tried out a site with them, but until the 25th January, we were battling with the support guys over wp-admin login. Since there was no point staying on, particularly, after enduring many unintelligent inputs from the support ranging from ‘you must have used a wrong name, try again; to … the issue is with your cache, we don’t have any problems here. we moved out as fast as we got in. Clients will range from mild, hot-head to raving mad when downtimes happen, depending on what value, time presents to them. Competence is profitable. If you’re impressive, you’ll gain the good benefits ‘Word of Mouth’. Good to promote Nigerian. Whogohost should gear up. This is a global race with treacherously competitive markets. I hope they’re reading and they don’t wave issues like this off as nothing. Thanks for sharing your WhoGoHost experience with the community. I think the one problem WhoGoHost is hvaing that leads to so many issues with customers is their poor or inexperience technical depertment. These guys just don’t know what they’re doing. I hope they’re reading like you said, and hopefully put things right. Thanks for your time, and wish you always stop by. You’re not the only one. I have serious trouble logging into my webmail sef through whogohost. There’s always one internal serve issue or data base issue or the other. It’s so tiring and frustrating. Thanks for sharing your WhoGohost experience with us. It goes a long way helping others. This happened to me too when I was moving my website to another server. But that was all my fault.. But here, the company shall have supported much actively so that you don’t get too much trouble in this. I recommend only Namecheap as it is low cost and reliable support too. Thanks for sharing your experience to let us know about WHOGOHOST. I have moved to NameCheap ever since and like you, enjoying the moment. Thanks for your contribution. It is really nice seeing what whogohost has done to you. I thought i’m the only one facing such issue but have now seen several. I paid for Whogohost PRO plan and I am currently facing server downtime and (500 and 508 error) which happens every 6hrs and lasts for another 6hrs for the past 4months. I have complained several via emails and phone calls. Their engineers are not really competent and at not good enough. I cursed two of their males engineer named Mr. Lanre and Mr. Lamiyu one day. I was speaking to them on phone and they were still asking to send a mail. I told i’m not in the office and i can’t access the internet from my present location but will get to office in about 3hrs. My visitors have been calling, complaining the my site is down. The answer these Old Knowledge men gave me was to ask me what error am i having which i told them. They continue by asking, who developed the site? I said me. They said i should get a developer to solve the issue for me and i asked them, WHAT AM I? They repeated that question again while another lady was laughing out loud as if they were having S*X in the office and this time i couldn’t hold on to my anger and i cursed them more than anyone has ever done. I have only used 5months of my 1year hosting and I am already tired of them. I have lost my ranking in google and i brought my site down to localhost to work on it again. I am even now scared than ever and I pray i shouldn’t loss all my files just like you. Whogohost is the worst hosting company you should ever think off. Even right now, as i am writing this, my website is currently down. I called them and after talking to them and also sent an email, they switched off their phones (at 5:30pm) and i will only be able to reach them tomorrow. Be it novice, starter, beginner or pro, DON’T TRY WHOGOHOST. They will reck and finish you. They have no human feeling and they are technically not Okay. Hello sham, I’m so sorry for what happened . You’ll still recover all that you lost – only with time. Honestly, i wouldn’t say much about the WGH hosting because it was only domain that i buys from them, even at that – Their domain cPanel is not user friendly; i had to raise tickets to make changes in most times whereas this are stuff i can do on my own in the Godaddy cPanel. With that said, i hope they look into this facts and transform their services to serve the end users better. Good to read from you. I’ve put the incident behind and moved on with a better hosting company (for the moment). It is sad what happened to you but if you want to be honest with yourself, you will admit that it is not the responsibility of web hosting companies to keep backups of their clients websites. They only do so in case the client loses their backup (Read companies terms of service/policy every once a while). Not to blame you but, the fact that you did not have several backups of your content rich website proves that you did not value it. I am a blogger and I ensure I download a backup of my website regularly. I just cannot comprehend losing my content so I take precautions(You can try code guard). Instead of writing bad reviews about the company, i suggest you learn from your mistake and take better precautions now. Lesson learned. Thanks for your advice. Adeshokan sir, Thanks for sharing and for the recommendation. Thanks for sharing your experience with us. I have heard many of such news. But yours seems to be really bad. I hope you don’t have issues with them again ? I purchased a domain name from Whogohost last week for my blog Naijcrackgist I hope I won’t go through the same situation you went through? Once again thanks for this post.. I pray God will strengthen to move higher !!! Despite that ugly incident I had with Whogohost sometime ago, I still believe Whogohost is unarguably Nigeria best Web hosting company. So you’re safe hosting your website with them. I’m just one dissatisfied customer out many satisfied customers. Whogohost is bad when it comes to services and customer care. I lost 5 websites to them. One of the websites had 14,000 posts ( A music blog website). At that time All website on there server “chicken server” got lost. They take in more than they can chew. No ready tech support. I gave call to the support, a girl of around 12 year old picked the call and said the one in charge went to buy Ewa. I lost Many client clients because of the company. The issue is not Nigerian host, the main thing is the quality of hosting services a certain web host is providing, in this case, WhoGohost. I know of some Nigerian web hosting companies that offers top quality hosting services, on the same level with foreign host. I have used some in the past and now with a certain indigenous web hosting services provider. And from experience, at least for the moment, they’re better. WhoGoHost was once the go-to in web hosting for Nigerians, but I think they’ve lost it at the moment. Hope the company realize it quickly and fix things right. Please I want to know if I can use c++ cgi or if I can install django or bottles in whogohost because my current host only allow that on their vps hosting which I am not ready to purchase now. Thanks in advance. I think is best you ask WhoGoHost customer care rep your questions. They are in a better position to answer your questions. Actually you generally cannot install custom software on ANY shared hosting plan in any company. Least of all a Nigerian host. You will most likely need to get a VPS. I find DigitalOcean VPS to be cheaper than most of the others I’ve used. Even cheaper than some shared hosting. Best part is if a guy like me should refer you, you get 100usd digital ocean credits. Meaning you can use their 5usd VPS for 20 months without paying. Unfortunately for me I wasn’t referred so I did not enjoy this. Config is small but configurable. Efetobor Owen Agbontaen recently posted…What is the Deep Web?